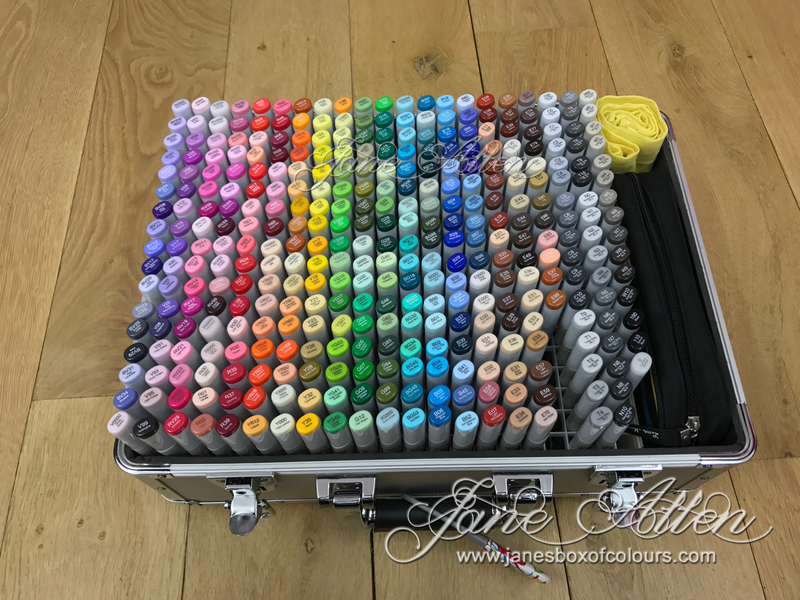 A full set of Copic markers weighs a lot and should you have to travel with them, trust me it's not much fun!! 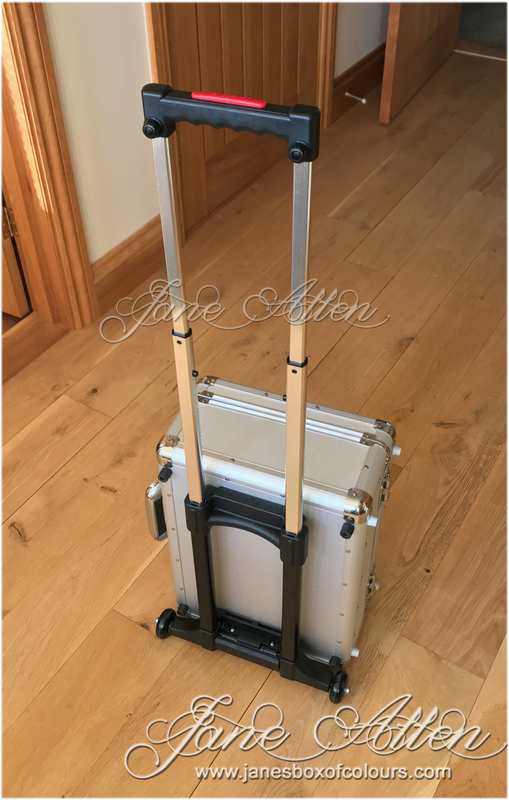 An aluminium case with a removable case trolley - no more sore shoulders or strained elbows for me! 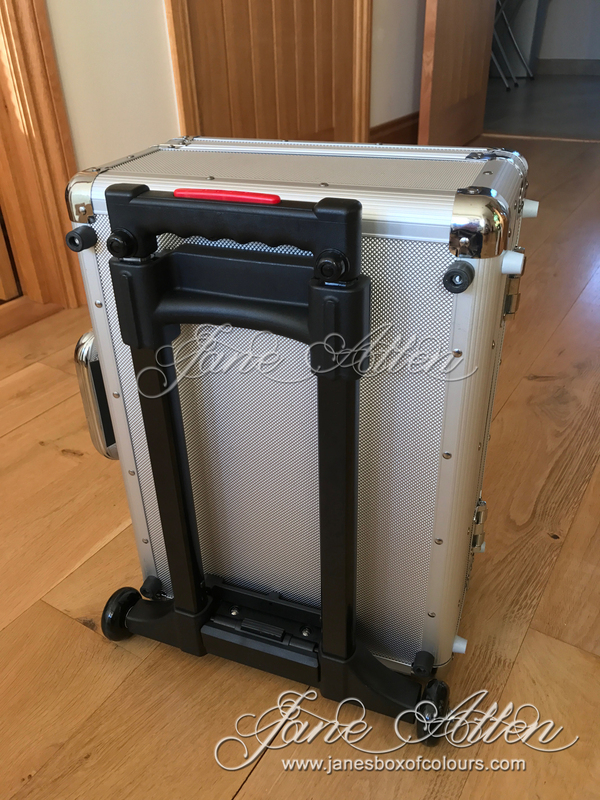 VIRGIN ATLANTIC: 230mm x 360mm x 560mm - Completed case fits these requirements! Here it is out of the box and oh look, it comes with detachable hinges, a feature that really makes this a very practical Copic transportation/storage solution. 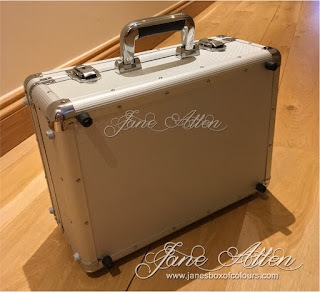 Apart from the tools which my husband already owned, all the above were sourced online from various stores in the UK - just Google, that's what we did! 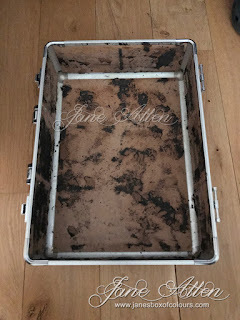 Now I had the benefit of Peter, my wonderful, practically minded husband......who had great fun pulling out the CD dividers and then stripping out all the foam......a great tip (thanks Jenn Dove) use a spatular or scraper for this bit. The next step is to carefully remove the four grey feet from the back of the case and re-fit them on to the end of the case that is going to become the bottom when the trolley wheels are attached. You'll probably need to use a drill for this bit as the feet are fixed on with rivets. 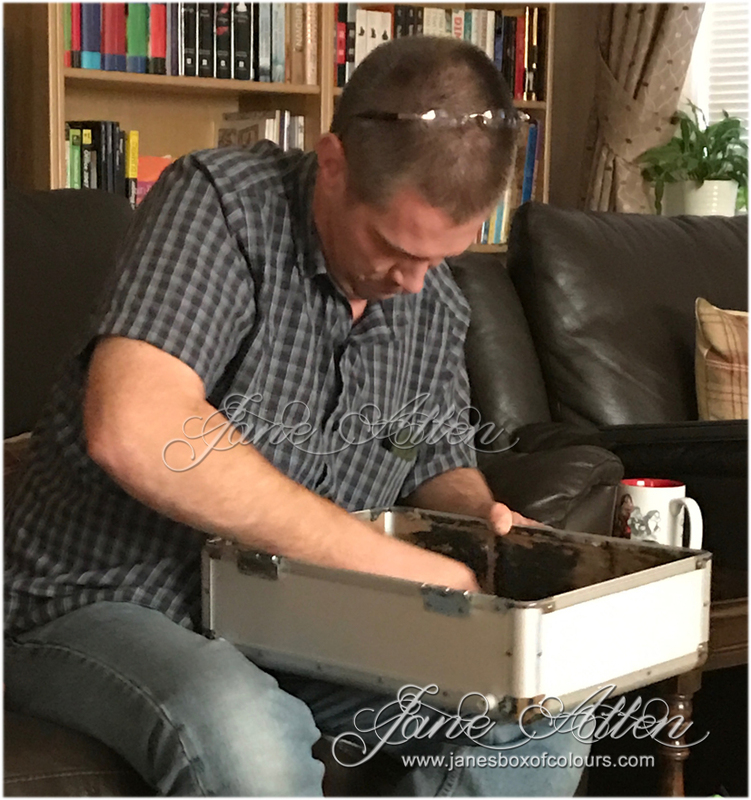 Peter drilled the back of the rivet out to remove them neatly. And of course, you then need to drill the holes needed to re-attach them. He used pan head bolts and washers to refit them. 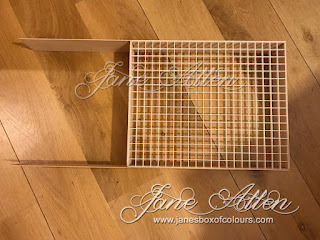 The image above shows the case with all it's feet attached - the ones it's resting on are original little grey ones. The small grey ones on the left were originally on the side facing you and new holes were drilled in the side of the case to accommodate them. 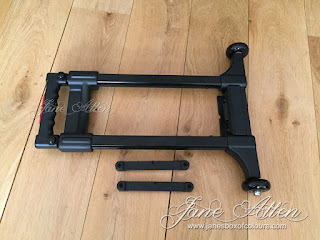 These feet stabilise the case when you stand it up on its end with the wheels attached. 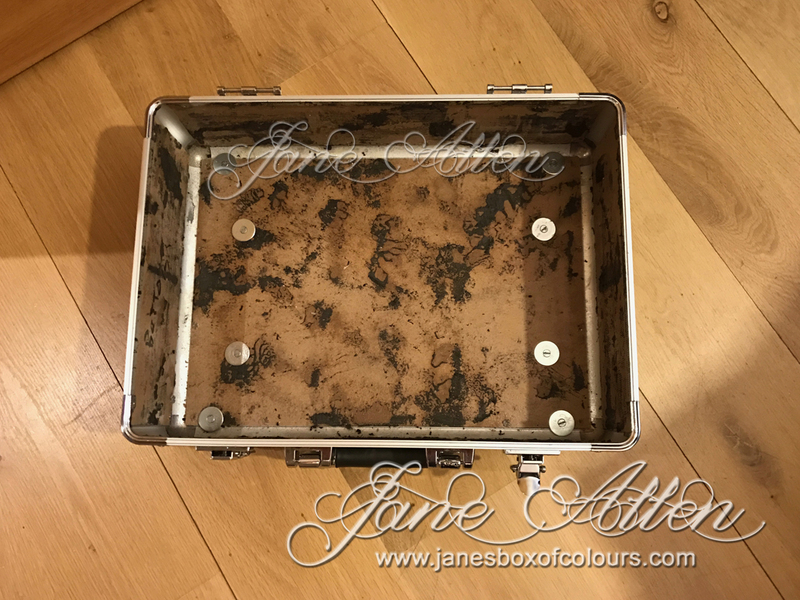 You can also see the replacement black feet (opted for black to match the trolley mechanism) - they were fixed into the original holes where the smaller grey ones had been, this ensures when open, ready for use the weight is evenly spread over these feet and not the trolley attachments. The above picture shows the mudguard washers and bolts inside the case - inner four are the trolley attachment fixings, whilst the outer four are for the new black feet ......Note: mudguard washers are used to spread the weight. This is what it looks like from the other side once the trolley brackets had been fitted. 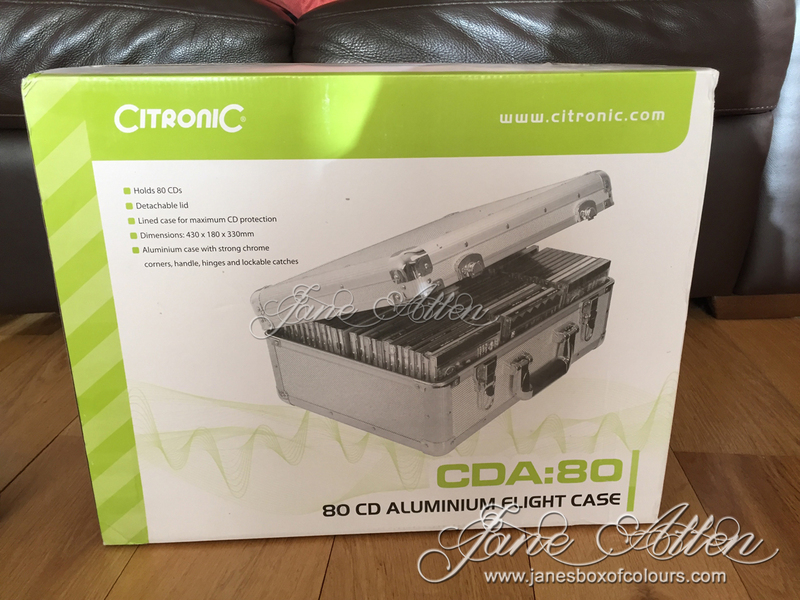 Once you have fitted all the additional hardware to the former CD case you can smarten up the inside again by fitting the replacement 5mm closed cell foam. We opted for one with a sticky backing just to make life easier. 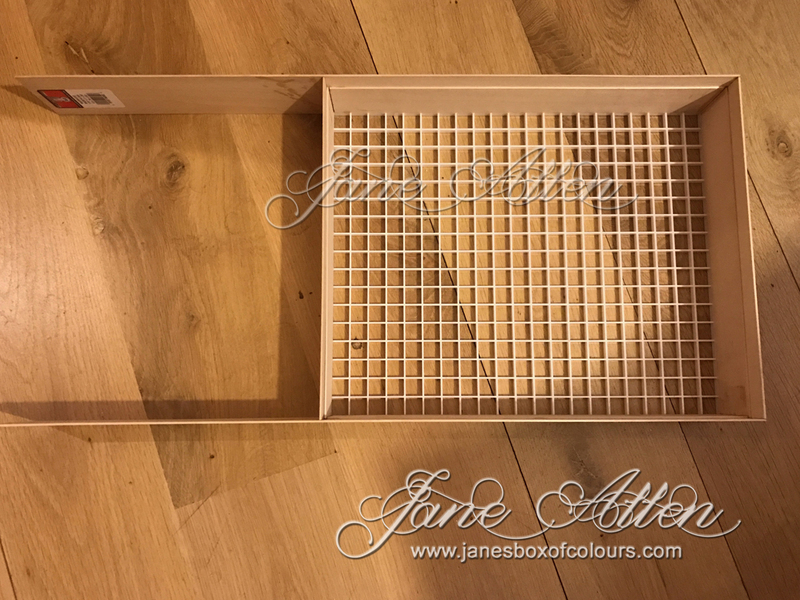 Now it's time to build the frame to accommodate your Copic markers - we used the same eggcrate louvre as we have done in the past with a lightweight basswood frame - please make sure you get the correct size eggcrate for your markers. Peter used Gorilla Super glue to stick it all together. 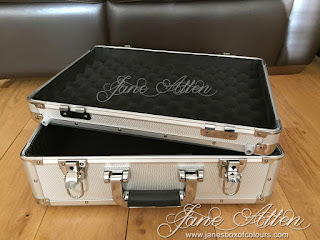 The protruding wood to the left in this picture was subsequently cut to fit the case tightly, so that the frame stays in place when fitted in the case. Here is a close up of the frame prior to the addition of the second eggcrate louvre. 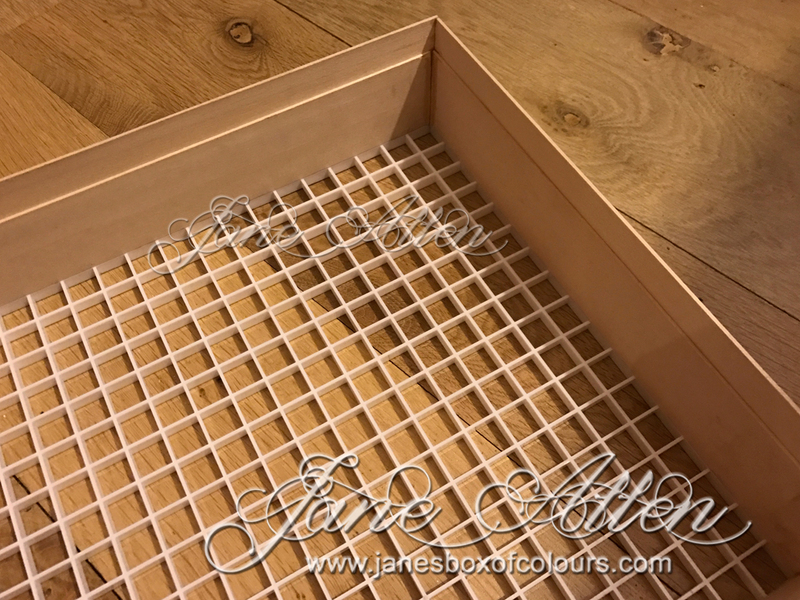 Two layers of basswood have been glued together, the narrower one on the inside, creating a lip upon which the second eggcrate sits - it is glued in to place and then a narrow strip of basswood fits above it (flush with the top of the frame) - this too is glued in place. This particular frame will hold a complete set of Copic markers (excluding the fluorescents) and as shown in the image below there is room at the side for a pencil case to keep extra crafting equipment. Now the original CD case had eggcrate (ridged) foam in the lid, but this proved to be a tad too thick and the lid would not close properly when all the pens were loaded, oops! So Peter had to strip this foam out of the lid, fix in a layer of the same closed cell foam he had used for the base as well as a rectangle of flat sheet foam cut to fit which we adhered to the polyethylene closed cell foam using double sided sticky tape. 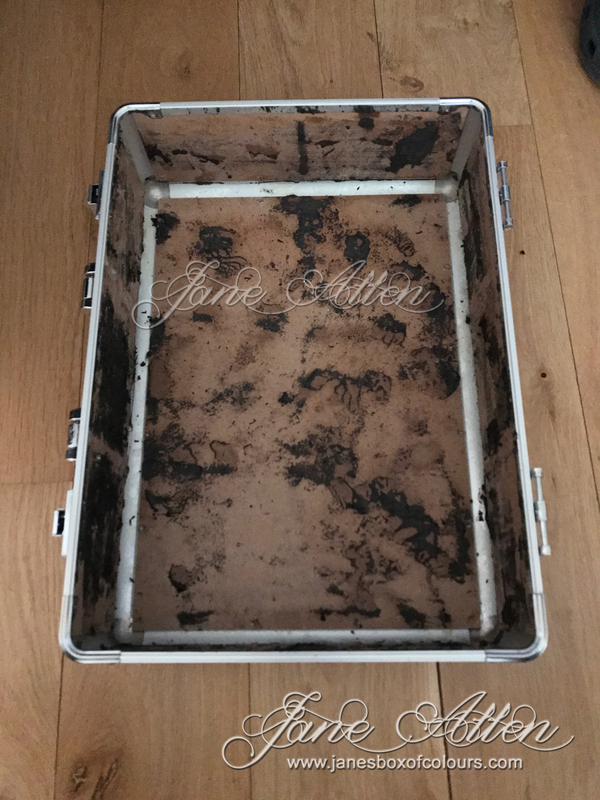 As you can see, there is quite a bit of work involved but if you intend to travel long distance with your markers it really is worth the effort - especially when you bear in mind this case (including wheels) when loaded with markers weighs approx 7.5 kg!! Here are photographs of the finished case. 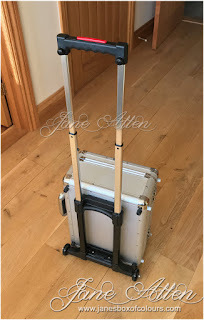 To the left the case has the trolley fixed, resting safely on the grey feet you moved, with the handle in the closed position and to the right it shows the handle fully extended. 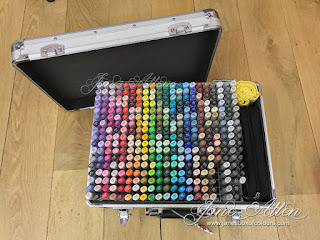 I hope that this explanation has been of help and should you find yourself travelling with your Copics this is a "Wheely" good solution to the problem of lugging 350+ markers around!! 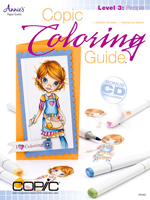 You need to see that design to Copic! 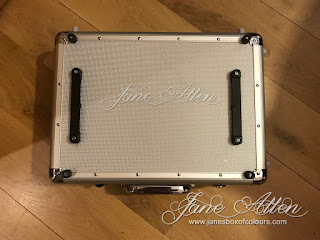 This is awesome Jane. Your Peter has done a marvelous job of making this for you. Who knows!!! One day you might come to Australia and we can see this case in person LOL. would love to see you colour. 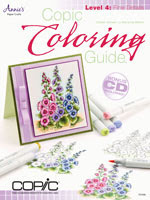 Forgot to say how well you photographed everything and how wonderful of you to share the plans of how it is made. Great idea. 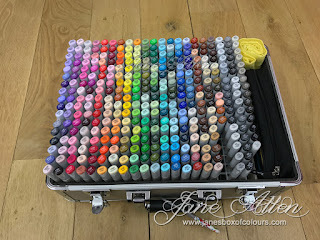 I would be interested to know how much it weighs with the markers all in? 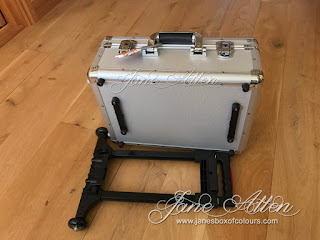 Carol, my case when loaded with Copics and the wheels attached weighed approx 7.5kg! And trust me having travelled to the States with a full set of Copics and no wheels last year you quickly appreciate how darned heavy it is - the wheels make a huge difference! 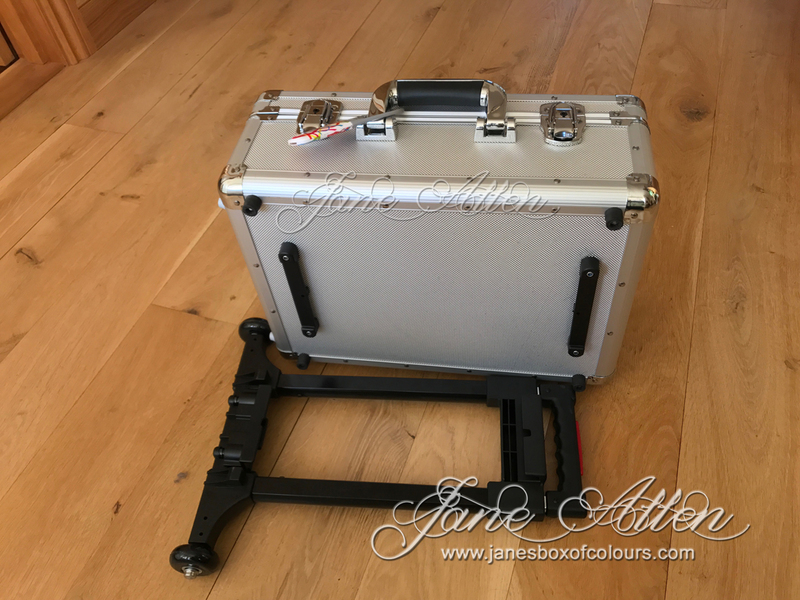 You and Peter did quite a job custom designing and building this carry case and trolley. 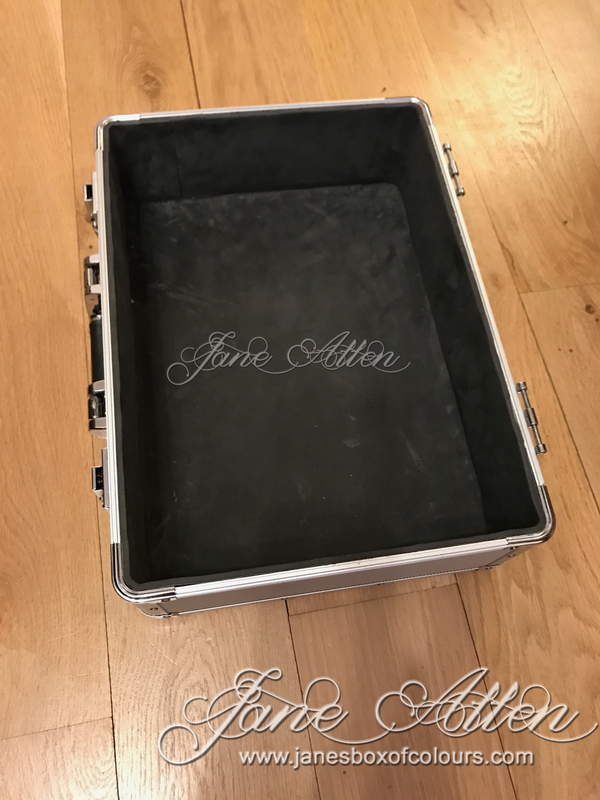 It is so well worth it for travel and storage, and to protect the investment of a full set of Copies. Peter ought to go into business and market this case! Seriously! My hubby is hopeless at DIY!!! 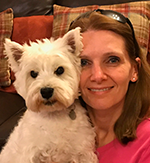 My new monthly feature at MFT starts today! Something new for yours truly!